JL Rule - is engine that helps you to make automated trading. It is user friendly and all texts made to understand every rule by native language. JL Rule works based on JL Script and when you make rule, it converted to script code and executed. You can view generated code by clicking left bottom checkbox. Processing - rule is working. Pending (queued) - rules mode is sequential and this rule is waiting upper rule to be finished. Stopped - rule is stopped. Paused - rule is paused because multi currency trading at same time is not supported yet. 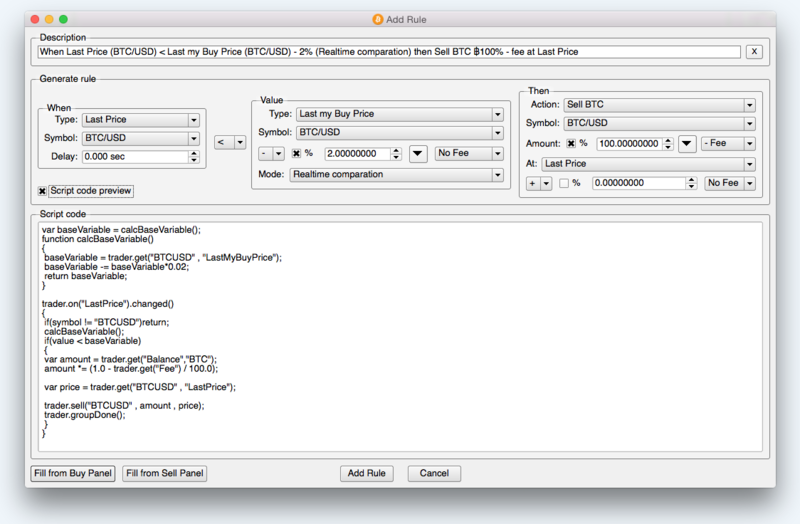 Rule will be switched to Running state once you change current currency pair to rules pair.